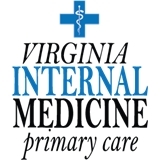 Virginia Internal Medicine, PC (Annandale) - Book Appointment Online! We are committed to providing comprehensive, high-quality and affordable medical treatment for the whole family. With sensitivity and compassion, we work with our patients to promote good health and wellness in a professional and caring environment. Our focus on excellence, integrity, and quality health care means you will always be treated with respect and receive the personalized attention you deserve. Our team prides itself on delivering state-of-the-art services combined with our unique, collaborative health care approach. Together we can achieve optimal health and well-being for you and your family. We know the best path toward wellness involves you. We look forward to working together in providing you with expert medical treatment, guidance and care.